7 × 1 = Required Please enter the correct value. For digital currency prices today, Bitcoin prices topped the $2,800 level and pushed toward $2,900 in the wake of this week's "hard fork." Meanwhile, Bitcoin Cash – the cryptocurrency spun out of the BTC blockchain – plunged more than 30%. Total market capitalization of the cryptocurrency sector topped $102 billion as volatility continues to send shockwaves around the globe. The past 24 hours have seen a 46.5% jump in CloakCoin prices, a 42% gain in Bitdeal, and a 21.9% gain in IOTA prices. Bitcoin prices gained more than 4.4% Friday and surpassed the $2,800 barrier for the first time since July. The BTC price is on pace to challenge the $2,900 level before the weekend begins. The uptick comes in a somewhat surprising period of stability for Bitcoin. Earlier this week, the "hard fork" of Bitcoin had suggested a short-term bout of volatility and uncertainty. 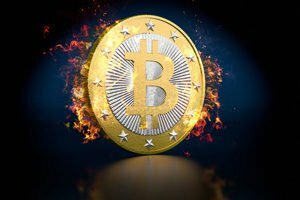 However, a wealth of experts have said that Bitcoin is on pace to top $3,000 after the activation of Segwit2x, set for Aug. 8. Money Morning Cryptocurrency Expert Dave Zeiler created a detailed report on the "hard fork" and Bitcoin Cash. Dave mined his first bitcoin back in 2011, and he's written more than 165 stories on Bitcoin and cryptocurrencies since then. You can access this free and exclusive report, right here. Bitcoin Cash is pushing toward an all-time low Friday after a 30% decline in 24 hours of trading. Though the market capitalization of Bitcoin Cash sits fourth among rival currencies, the downtrend toward the all-time low is a stark reversal to this week's record high of $727. The bulk of analysts suggest that Bitcoin Cash's price was artificially higher than it should have been earlier this week and that the split didn't favor holders of the currency. Samson Mow, CSO at Blockstream, warned Business Insider that the new cryptocurrency may not "survive at prices above $100 in the long term." Today, Coinbase announced plans to support Bitcoin Cash, but it has not made any decision on whether it will facilitate the trading of the instrument. The company said it must study technical stability, security, and compliance of the new cryptocurrency. It said it will support the fork next year, a reversal of its earlier stance. That said, many Bitcoin Cash owners have not been able to transfer their money out of the exchanges that do not support the new cryptocurrency. When that matter is resolved, there could be a situation where the market is flooded by the new coin, which could press the price even lower. Ethereum prices moved lower Friday. Technical signs have pointed toward a more bullish outlook for the cryptocurrency. Ethereum bulls cheered this week's forecast by Wall Street analyst Ronnie Moas, who predicted that Ethereum would hit $400 by next year.